The soul of a powerful PC inside a beautiful modular body, HP Elite Slice is like no desktop you've ever seen. Designed for the modern workforce, each compact, cable-less module adds functionality to transform Slice into something new. The HP Elite Slice for Meeting Rooms USFF Desktop PC is powered by Intel Core i5-6500T Quad-Core processor with a blazing speed of 2.5GHz to improve productivity and redefine multi-tasking to a greater level. Equipped with a 4GB DDR4 memory to deliver fast system response and ensure lag-free operations. Its 500GB HDD storage capacity provides massive storage space for huge files, so that you can store important digital data and work your way through it with ease. It is decked with the Windows 10 Professional 64-bit operating system that is designed to provide a familiar and productive experience, while delivering enterprise-grade flexibility and security. So what are you waiting for? 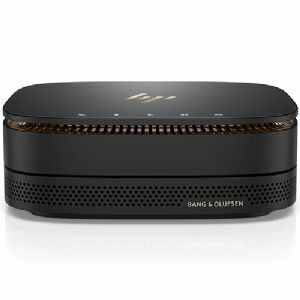 Purchase the HP Elite Slice for Meeting Rooms USFF Desktop PC now!